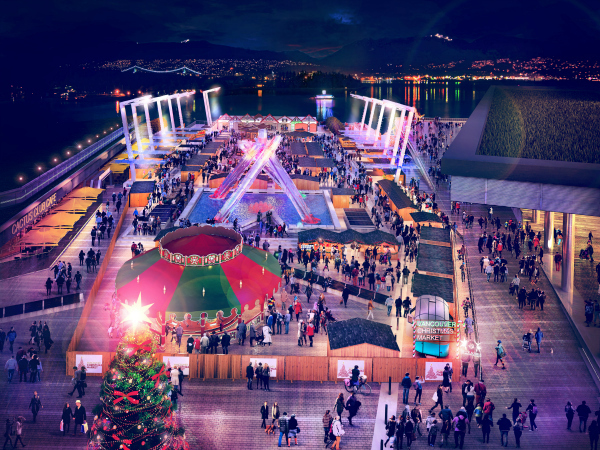 A Newcomer's Guide of Top 5 'To-Do-Things' in Vancouver this Holiday Season! Although it's been a year since I moved to Canada, I still like to believe that I'm a newcomer to beautiful Vancouver. When you live in a city that has the reputation of being one of the most beautiful cities in the world, you can imagine the countless landscapes and attractions you must explore. Even if I spent every weekend exploring a new spot (not that I did) I still wouldn't have been able to see everything this city offers. Vancouver is totally meant to be experienced outdoors and it's not just limited to the summers, spring or fall. The city encourages you to get outside and feel the chilly weather over the holiday season too! There are tons of winter events and activities happening around the city in winters. In this post, I'm going to list down my 5 favorite picks as a newcomer that I wouldn't want to miss experiencing this season. This one's a new attraction in 2017 featuring Christmas light displays and a market. 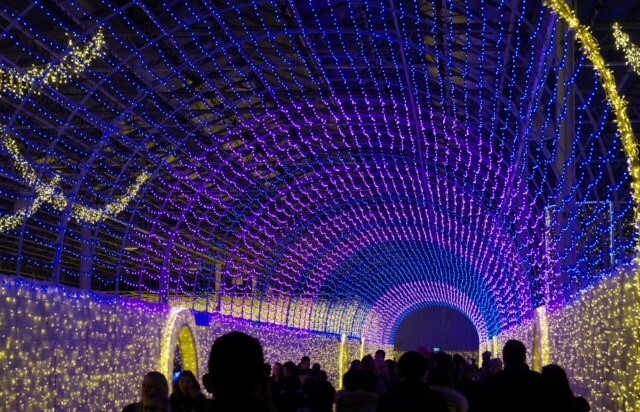 From what I've heard and read it features over 500,000 lights in four light gardens and a 63-meter-long light tunnel. I bet that'll be a pretty awesome spot to take some cool pictures. Apart from the venue's top attraction the Light Tunnel, there's a Light Maze, Scavenger Hunt for Children, Artisan Market and so on. Basically, there's something for everyone. Last year there was a similar Christmas light display event called the Enchant in Vancouver which was absolutely stunning. 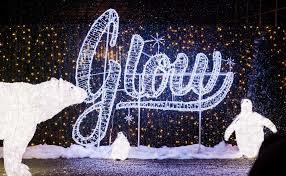 Unfortunately, Enchant's not coming to Vancouver this year, which makes me worry that Glow might not come to Vancouver next year too! Therefore, I'm definitely not gonna miss this one! It's open until 30th December. Tickets can be bought at the venue or online here. They're not open every day so better check the schedule online beforehand and also book the tickets if you want to avoid queuing in the cold. I've been to this one last year so I can confidently speak for it. It's a fun outdoor German-style market that’s great if you enjoy holiday window shopping. There are lots of festive things to eat and an amazing place to buy Christmasy stuff while sipping on your wine! 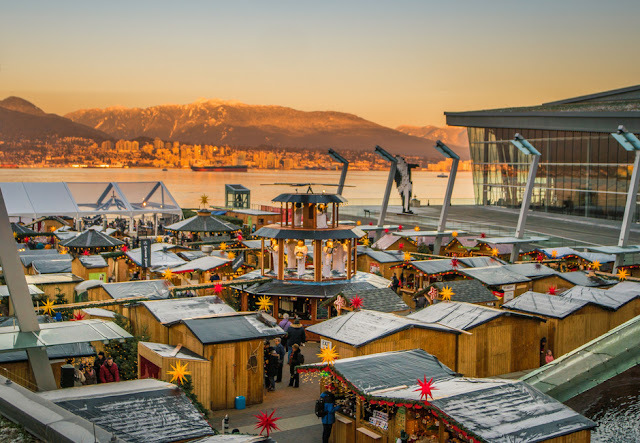 The next best thing about the Vancouver Christmas Market is that it's located Downtown at Jack Poole Plaza making it so easier and convenient to get there. The new addition for 2017 is a 30-foot walk-in Christmas tree that has about 36,000 lights. Now, how often do we get to walk in a Christmas tree?? Wouldn't that be an amazing experience?! I would plan a visit to this one in the coming week itself as the last day of the market is on December 24th 2017. For more information and booking tickets online visit this. I have to say, this is one of the most talked about Winter Festival attractions in Vancouver. I've heard so much about it that it's almost like a must visit holiday attraction for every tourist, immigrant or even the locals. 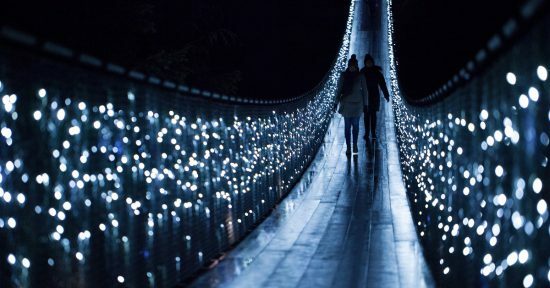 Every year during winters the Suspension Bridge, Treetops Adventure, Cliffwalk, the Rainforest, and Canyon are transformed into a world of festive lights and visual enchantment. 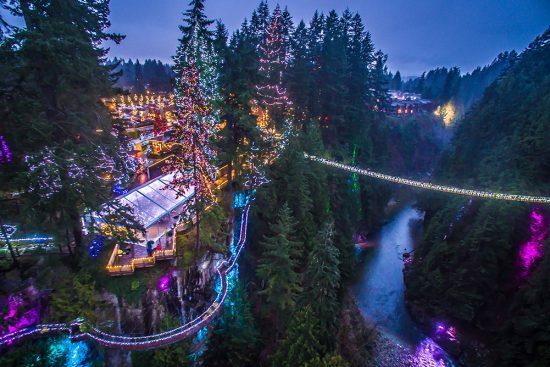 The Canyon Lights event claims to have the world's largest living Christmas tree. This year the magnificent Douglas firs are lit above and below the collars, making the trees the eight tallest Christmas trees in the world! What a magnificent sight it would be! I can't wait to get onto the suspension bridge and click that mandatory picture for my insta feed! For ticket price and more info click here. 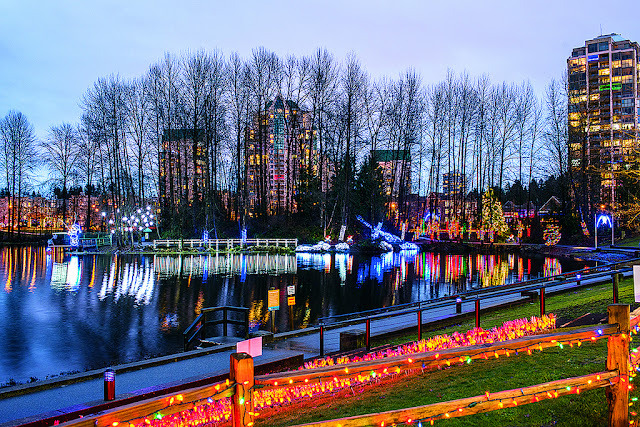 The cool thing about this one is that it's a free winter attraction that features over 100,000 Christmas lights and festive displays around Coquitlam’s Lafarge Lake at night. The 1.2 km pathway around the Lake is decorated with sparkling festive lights. Not just that, there are illuminated archways to walk under (like light tunnels), Christmas light reindeer, Fantasy Forest and plenty of other themed areas to admire at and take pictures with, of course! It's recommended for people who live around the area, but also a great experience for newcomers and tourists. I've done this one last year when the Lafarge lake was completely frozen. It was my first time ever seeing a frozen lake. The whole experience was truly magical which is why I'm going back again this year!! Location: Coquitlam’s Lafarge Lake in Town Centre Park, next to the Evergreen Line’s new Lafarge Lake-Douglas SkyTrain Station. December brings the magic of Christmas - Santa, carollers, real reindeer, sleigh rides and more. What's a winter experience in Canada without snow! The Grouse mountain, during the holiday season, is a perfect spot to experience a white Christmas, something that we don't experience very often in Vancouver. The natural beauty of Blue Grouse Lake, lit by breathtaking light installations will transport you to a magical world. There are various activities to indulge in, like a stroll through the light tunnel, skating on the 8,000 square foot mountaintop Ice Skating Pond, Theatre in the Sky to enjoy Christmas movies or the Elf Headquarters to create your very own Christmas crafts. For more info click here. How many of these attractions have been ticked off your bucket list?? Let me know in comments what's your recommendation for the 'To-Do-Things' in Vancouver for a newcomer like me! P.S. We do not own pictures used in this post. FUN LIST! I only got to do 2 of those this year while visiting.